Enjoy a spectacular show from this dazzling full diamond eternity ring which features alternating baguette and princess cut diamonds within a precision channel setting. 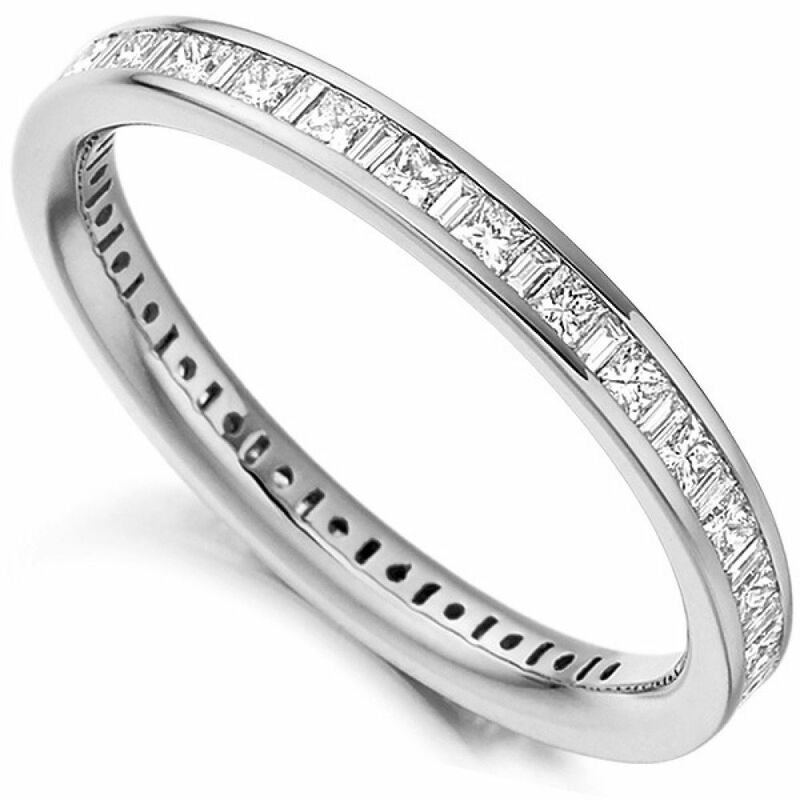 A spectacular Baguette and Princess cut Diamond Eternity Ring combining two of the most beautiful Diamond shapes. Both shapes are brought together, creating striking statement. Both Princess cut Diamonds and Baguette cut Diamonds are expertly matched, alternating around a full channel setting. The dazzling brilliance brings fire and scintillation to this dazzling Eternity Ring design. This Diamond Eternity Ring features a full channel setting of Diamonds with a total of 1 carat of Diamonds. Each Diamond within the channel is matched and graded at F/G in Colour and VS in Clarity. We have sourced the finest Diamonds possible to create this extraordinary Baguette and Princess cut Diamond Eternity Ring. The band also features a 2.65mm width and benefits from a comfortable court shape for everyday wear. Choose from a wide range of precious metals including 18ct White Gold, 18ct Yellow Gold, 18ct Rose Gold, 950 Platinum and 950 Palladium. 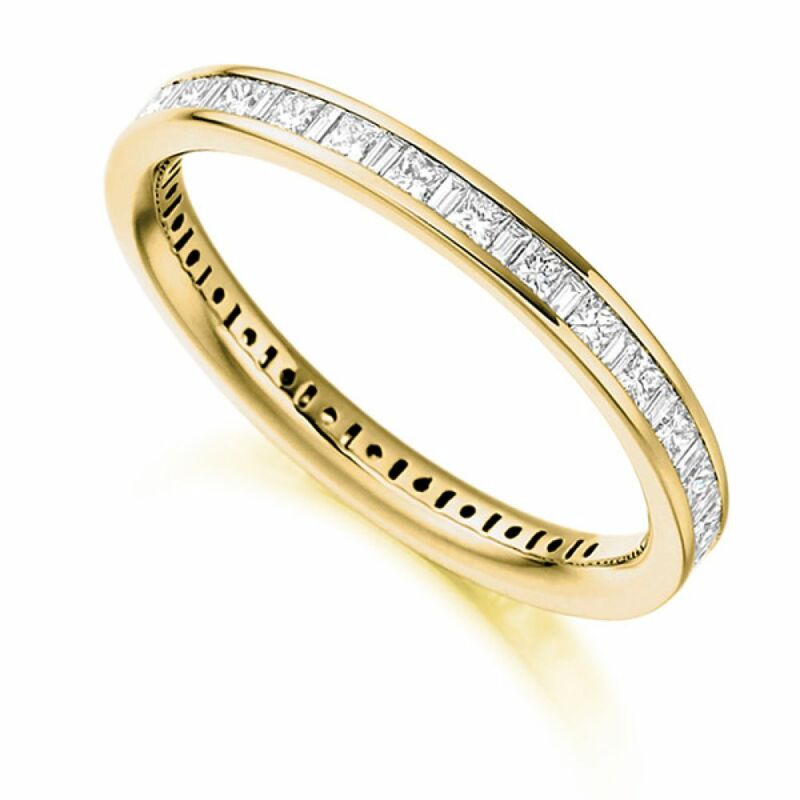 Your Eternity Ring arrives in approximately 4 weeks, hand delivered by secure courier under plain wrapping. Your ring will include luxury packaging and presentation box. We also include 60 days returns, a lifetime warranty and a detailed valuation for insurance.